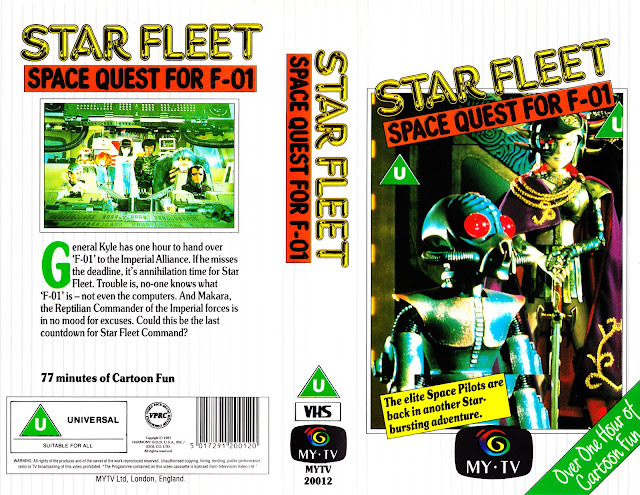 This was one of several cheap'n'cheerful STAR FLEET VHS tapes that were released in the eighties. Intended for kids, these were like gold dust and bloody hard-to-find. I *think* I found this one in one of those mysterious fly-by-night VHS stores that used to appear (and disappear), in otherwise empty stores, selling remaindered and ex-rental stock. In the pre-internet age, and with no prospect of a better release or a TV repeat, these tapes were the only way to see the show again. Predictably, it featured several episodes hacked together to form a (fairly coherent) movie. Finding - and watching - this again (circa 1992 I think) was a real blast-from the-past that confirmed it was a pretty good series. The whole series is now available on DVD and - although pricy - is well worth getting. Both the Star Fleet and Terrahawks tapes used to go for a pretty penny until both series were finally released on DVD. The odd lack of repeats on *any* channel (including satellite) since the late 1980s was doubtlessly the main reason these were so pricy for a while! You know, I suspected that was the case. I stumbled across this tape in one of those fly-by-night stores which carried stock from who-knows-where and it was the only one they had. And its the only time I've ever seen a SF tape in a retail store. Wasn't there a problem with either the rights or the master tapes for SF? I remember reading somewhere that the English masters might have been lost. Another tale I recall is that the rights issues were unclear because the original paperwork had been destroyed when Carlton took over Central Independent Television and moved out of their Broad Street centre in Birmingham. Clearly neither were the case. Not permanently anyway. Confusingly, the extras on the DVD refer to LWT as the ITV contractor responsible for the show although I always thought it was a Central (co)production. They were certainly responsible for playing it into the network as their logo appeared at the top of each episode. 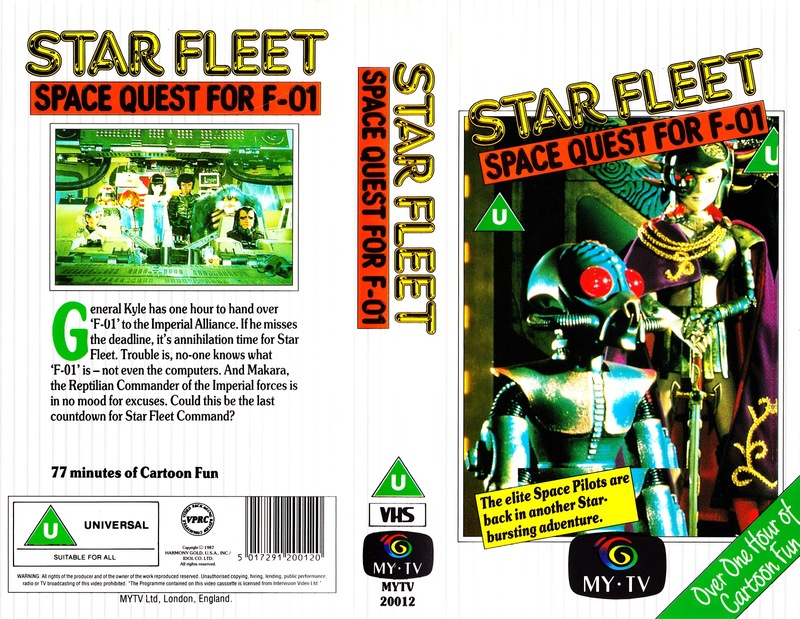 I think the issue was that the rights to Star Fleet were owned by Enoki Films, a distribution company that had a U.K. office at the time the series was dubbed. At some point afterwards, they closed their U.K. office and concentrated on their U.S. operations. They always retained the rights to the show, but over time lost awareness of how successful it was in the U.K. while they were busy in the U.S. market. It apparently wasn't until Fabulous Films talked direct with Enoki's U.S. office that they were able to release the series on DVD. However, I think the series stopped being repeated on ITV simply as it was broadcast outside of the normal Children's ITV slot and was in effect somewhat "orphaned". The exact same thing happened with Terrahawks; I'm reasonably sure neither series had a regional repeat outside of the 1980s.